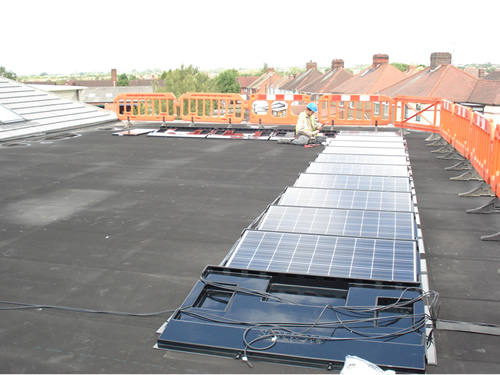 Flat roofs allow us more control over the direction to set the modules, and at the best angle of inclination. 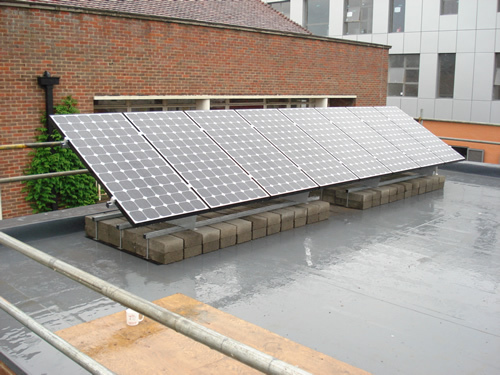 The roof needs to be large enough and any parapets low enough to prevent shading at times of low sun, and adequate spacing must be kept between rows of modules so that they don't shade each other. 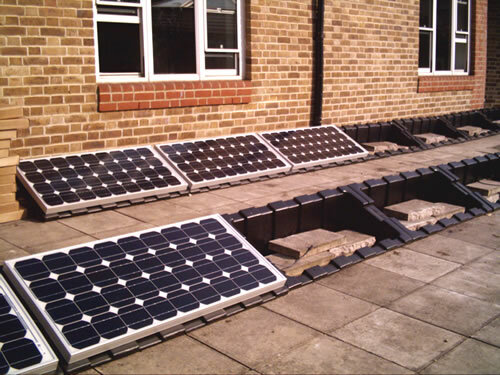 Recycled plastic mounting "Consoles" are filled with ballast for stability, and so require no fixing. 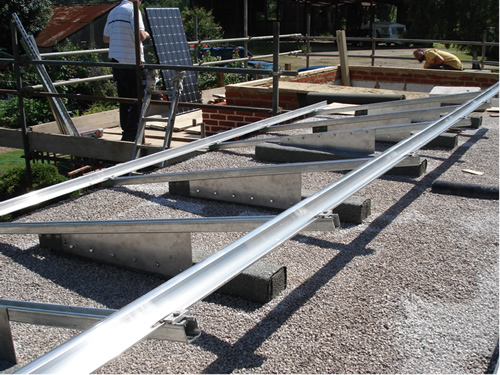 With any ballasted system it may be necessary to have the strength of the roof checked by a structural engineer. 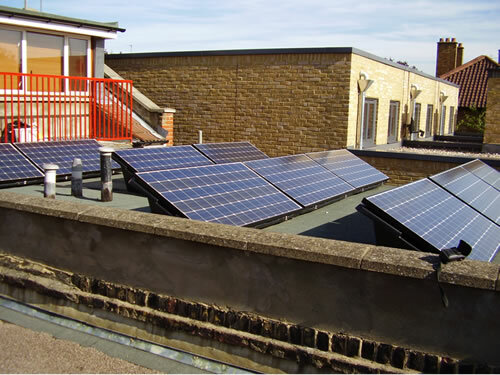 Building height and proximity to the roof edge are just two of the factors we consider when designing against potentially high wind loads. 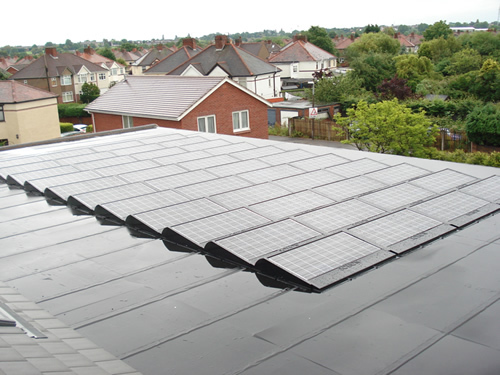 This is a bespoke system designed by Solstice Energy for such a case. 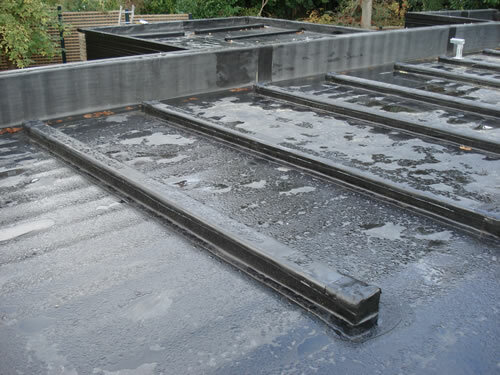 An alternative is to fix timbers to the roof. 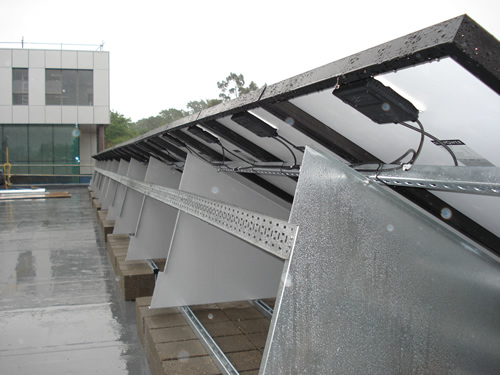 This gives a strong mounting point and the angle of the stainless steel mounting plates can be determined by the system layout and aesthetic requirements. 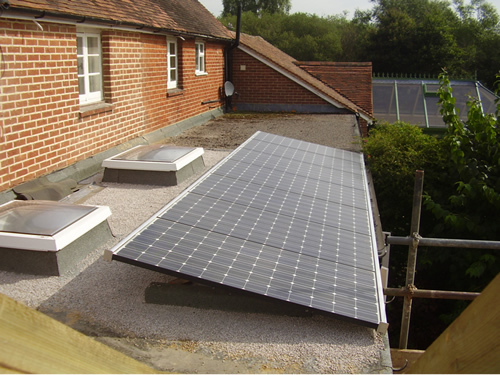 The same method is especially useful for loft extensions (often with limited area) where we need to minimise wasted space between rows of modules, and cannot protrude above the ridge-line due to planning restrictions. 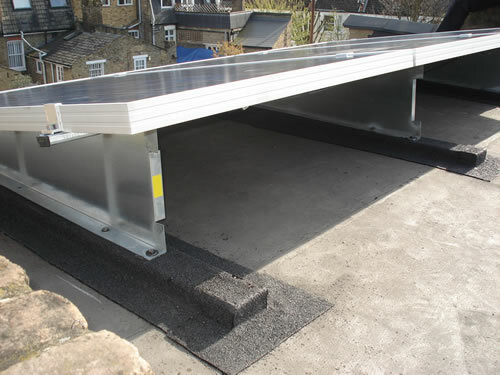 Another alternative is the aerodynamic "Sunmount" system that sticks to the roof under high winds. This requires no fixing or ballast.